This everyday basic apparel adds comfort and provides the ultimate best in comfort and fit. The cotton blend makes sure you are cool when you are comfortable. Versatile must - have styles with all the quality and comfort. 100% comfort guaranteed. Its fits to match your shape!! Hanes technology is designed to adapt to your temperature and activity. to keep you cool and dry. Your day goes better when you're comfortable. 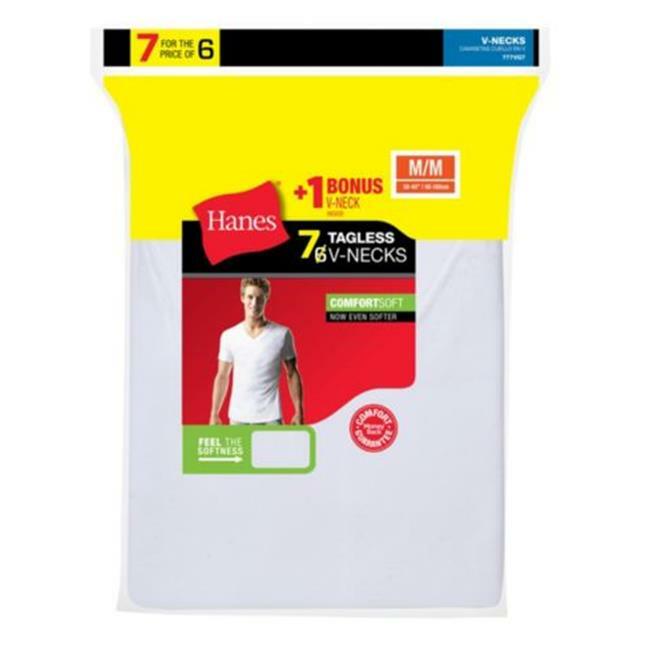 So, before all else, pull on this Hanes super soft v-neck undershirt.